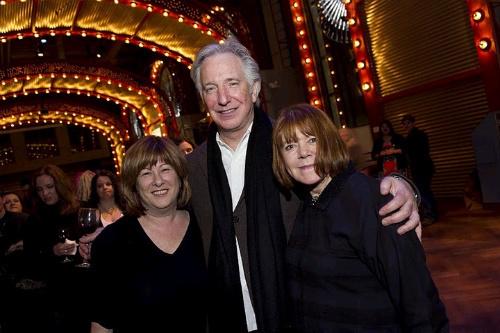 alan rickman , rima horton and friend. Alan and Rima at the 2/8 Marafiki of BAM Chair chajio, chakula cha jioni with a friend,rima is on the right. Wallpaper and background images in the Alan Rickman club tagged: alan rickman rickman.